Lucy Gayheart was the first novel I read by Willa Cather. One day in our school library I reached down from the shelf a book with Lucy’s name on the spine. I was twelve years old then and looking for stories about girls in the hope of finding out what would happen to me. I opened to the first page and read that “the townspeople still talk of Lucy Gayheart”; that they remember her as “a slight figure always in motion . . . walking swiftly with intense direction, like a bird flying home.” This was interesting but not at all the way the books I read usually began. I couldn’t understand what had happened to Lucy Gayheart. Her life seemed to be over before I knew anything about it. 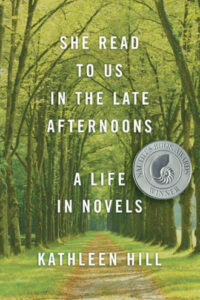 When I began to write the story that turned into the first chapter of my memoir, She Read to Us in the Late Afternoons, it soon became clear to me that my memory of a seventh grade music teacher and an unhappy classmate was suffused with a mysterious ache that had its source in the novel I was reading at the time, the one I’d found in the school library. Like Lucy who’d gone to Chicago to study piano, Norman de Carteret had a gift for music: our teacher told us Norman heard in the music she played for us things the rest of us did not. But events were gathering in Norman’s life, some sorrow that I was aware involved his absent father. I didn’t know how, but it seemed to me his artistic gift and the tragedy waiting to happen were mixed up with each other. I thought so because in the pages of Lucy Gayheart I discovered that the life of feelings indispensable to composing music, to playing music, can swirl you down into the waters and beyond. Only a few months ago, a friend gave me as a gift a first edition of Lucy Gayheart signed by Willa Cather herself. I was holding in my hands a volume that looked like the one I’d found in the library in seventh grade. The same typeset, the same heavy pages, the double bar at the top of each one. But as I read, it wasn’t so much Lucy I was discovering as the twelve year old I had once been who had unwittingly picked up this tragic story and learned not only that there are mistakes that last a lifetime, but also that peace can finally be made with even the most terrible regrets. In seventh grade, the grown-up world was all in the making. Now my own life and others’ close to me have unfolded. “Life will not spare you, boys and girls,” the music teacher had told us. “It spares no one.” And so it is. The reader I am today finds the story of Lucy Gayheart even more devastating than when I read it the first time because I know that the unbearable happens to each of us. But I know too even our deepest regrets, so often bound up with our passions, our deepest loves, may be softened at last by the humility of self-knowledge, by mercy born of spirits of the air, each other. Kathleen Hill teaches in the M.F.A. program at Sarah Lawrence College. She Read to Us in the Late Afternoons: A Life in Novels was published October 2017. Her essay on Irish writer Maeve Brennan appears in the forthcoming book Nine Irish Lives. 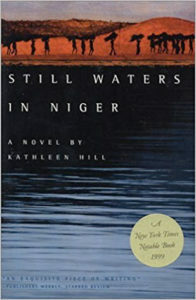 Kathleen’s first novel Still Waters in Niger was named a notable book by the New York Times, Los Angeles Times, Chicago Tribune, and was nominated for the Dublin IMPAC Award. 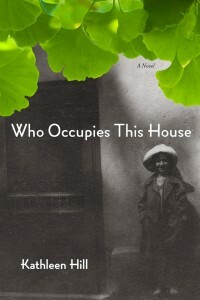 Her second novel Who Occupies This House was selected as an Editors’ Choice by the New York Times. Her stories have appeared in Best American Short Stories, Pushcart Prize XXV, and The Pushcart Book of Short Stories.